Spirulina is the perfect protein and so many of us know its benefits by taking it internally. As I’ve written before it’s a great supplement from humans, dogs, cats, birds and even bunnies. Spirulina is 70% protein. It’s a great way to boost energy! It is also high in B vitamins, vitamin K and minerals. It’s a powerful anti-aging tool due to its high antioxidant content and ability to reduce puffiness and lighten dark circles! Taking spirulina can reduce blood pressure, blood sugar and reduce cholesterol. It’s also high in iron and can help people suffering from anemia. Supplementing with spirulina not only benefits the body and the skin, it is also beneficial for strengthening hair and nails. 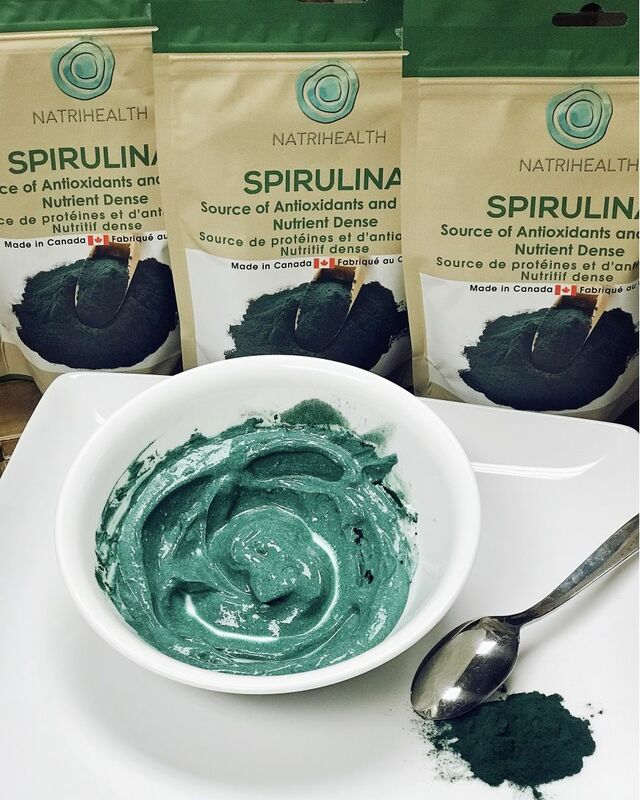 Now Spirulina is great for your skin too. With the changing season I always like to take care of my skin and help it adjust quicker. This mask recipe will help detox and smooth out your skin. Who doesn’t want smoother, softer skin?! It feels soft, cold and soothing as well. Using spirulina bentonite clay and Greek yogurt, this mask takes seconds to make and is a great for weekly use! Combine ingredients in a glass bowl. Apply a generous amount all over the face, neck and even chest.